Riders Pippa, Nick, Will and Laurence after building their custom bikes! A bike ride for charity is common achievement, 5 or 10 miles usually being the average one rides to raise money for their chosen charity, but Laurence Gribble from St. 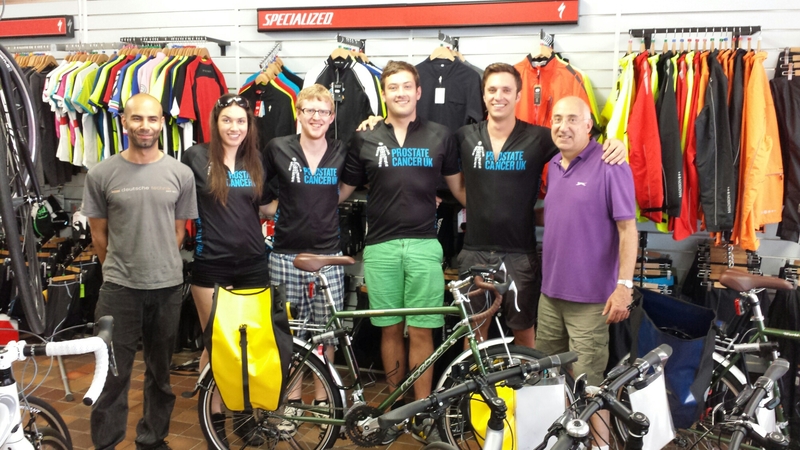 Bees and his team of 3 other Cambridge graduates have set the bar a bit higher by cycling from London to Hong Kong in aid of Prostate cancer.